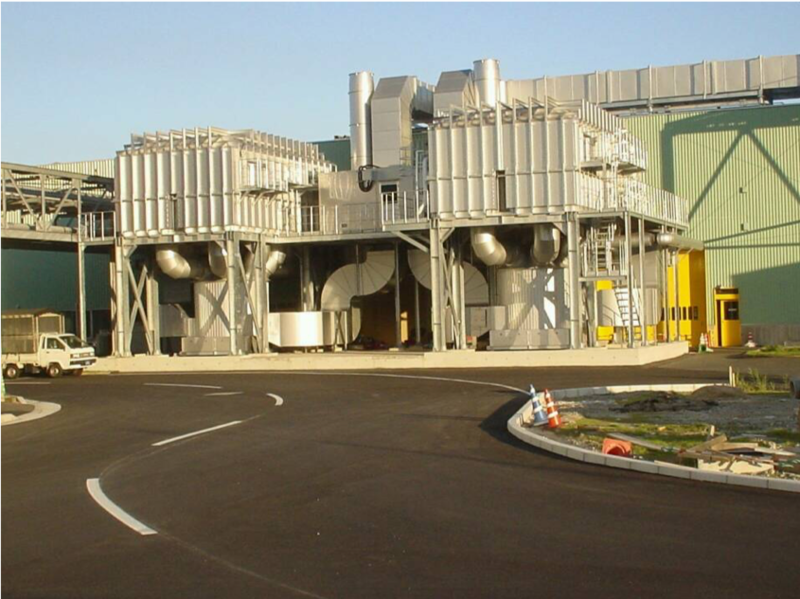 A Regenerative Thermal Oxidizer, also known as an RTO, is a type of air pollution control equipment designed to decompose volatile organic compounds (VOCs), hazardous air pollutants (HAPs), and other airborne solvents into innocuous CO2 and water vapor by heating the exhaust air to a very high temperature, over 1400°F. 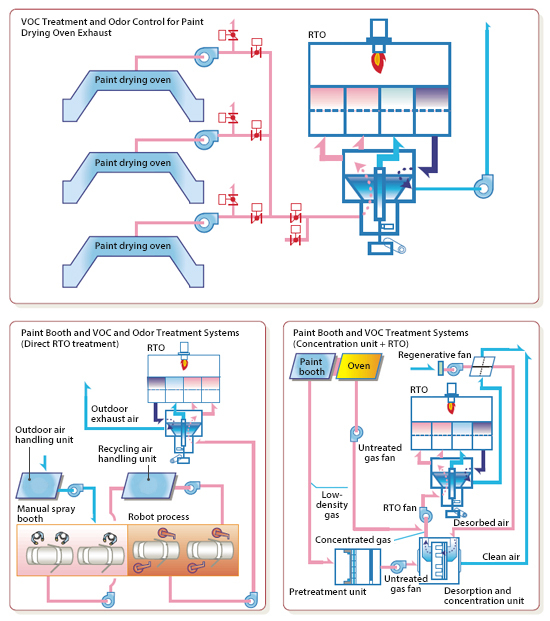 An RTO consists of two or three towers which contain specialized thermal ceramic material, connected at the top by a high-temperature combustion chamber and direct-fired burner. Heating: Industrial process exhausts carrying VOCs & HAPs are passed through a heated ceramic material in one tower, heating the gas up to ~1300°F. Combustion: A natural gas-fired burner heats the polluted air stream from 1300°F to ~1450°F, thereby oxidizing all complex carbon solvents into CO2 and water vapor. 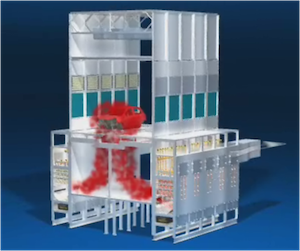 Recovery: The post-combustion hot gas is passed down through the second tower, which contains the same heat sink ceramic material, and recovers 95% of the heat from the burner. Purge: Only in the 3-tower design, the third tower purges a small amount of fresh air into the combustion chamber to prevent any exhausts from escaping. As the first tower cools and the second tower heats up, the direction of the air through the towers reverses periodically to recover the heat from the RTO burner. And more organic solvents, emissions, GHGs, and pollutants. TKS has installed new Regenerative Thermal Oxidizers at Honda, TMMK, TMMTX, TMMI, TMMBC, TMMMS, Nissan, Subaru, Ford, and Kia. Industrial process exhaust gas enters and is pushed through via in-line fan to the first chamber. The valve is open to accept incoming gas for treatment. The process gas move vertically through the ceramic media in chamber 1, absorbing waste heat stored in the ceramic media, and the incoming air is heated to approximately 1300°F. The air then travels into the combustion chamber, across the top of the tower, and reaches temperatures of 1500°F. In the middle of the combustion chamber is a burner which is supplied with fresh air (oxygen source) via combustion blower and natural gas to supplement the combustion reaction to maintain the temperature set point. Process air that reaches Chamber 3 is fully combusted, clean air. It travels down chamber 3, releasing its heat to the ceramic media blocks. The pure, clean air exist the open valve and travels to the exhaust stack where it is emitted to atmosphere. 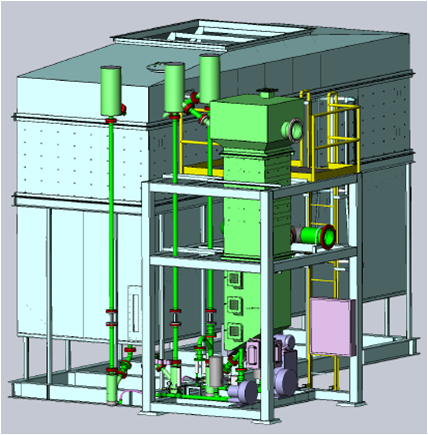 In this design, chamber 2 is in purge mode and purges to the inlet air stream, upstream of the process inlet fan. Partially combusted air is purged via chamber 2. The primary advantage of the RTO design is the ability to capture and re-use waste heat. Outgoing hot gases heat the ceramic media beds which then heat the incoming pollutant air. At >95% thermal efficiency, the RTO achieves more heat recovery than any other oxidizer. 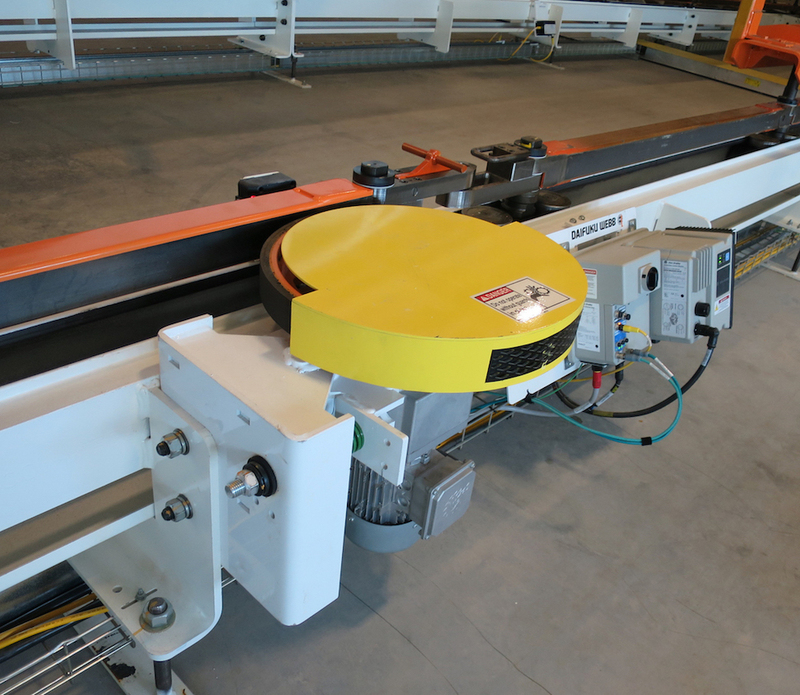 Your RTO can be completely assembled, wired, and tested in a fabrication shop, prior to shipment to site. 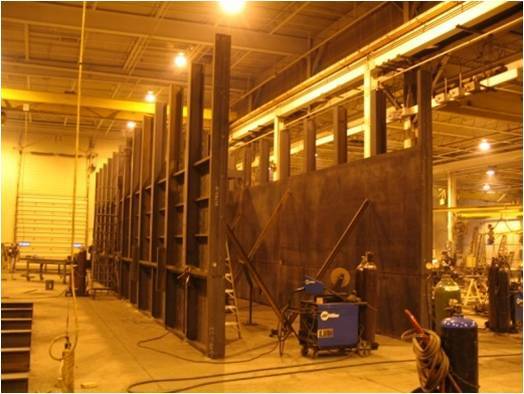 Mod-build reduces field labor, installation costs, and install time required. 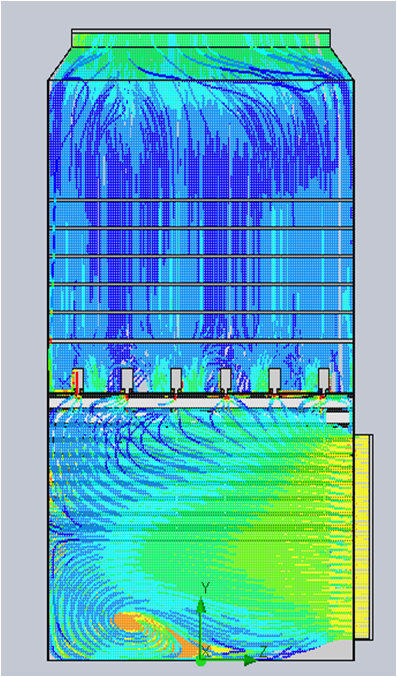 Our in-house engineers perform advanced computational fluid dynamics (CFD) simulations to understand air flows inside the RTO towers and combustion chamber. The RTO achieves consistently high destruction removal efficiencies (DREs), year-after-year during annual emissions permit evaluations. After the RTO completes start-up, heat-up and reaches steady-state, if the incoming VOC concentration is greater than 5% LEL, the RTO is capable of sustaining the required heat set-point via combustion of the incoming VOCs alone. No supplementary natural gas is needed. We offer low NOX burners with specialized controllers to monitor and adjust the precise air-to-fuel mixture to ensure a complete burner and avoid running too lean or too rich in the mixture. Having a precise mixture of air and fuel helps avoid the creation of NOX by-products. Programmable Logic Controller (PLC) and HMI controls with digital data storage and retrieval. TKS specializes in turnkey projects where we can vertically integrate engineering, design, CAD, raw material sourcing, fabrication, labor, freight, installation, purchased equipment, controls, skilled trades, commissioning, start-up, and complete project management. Let us handle everything for you today. An RTO has become the standard go-to equipment for reliable treatment for harmful manufacturing air pollution emissions. 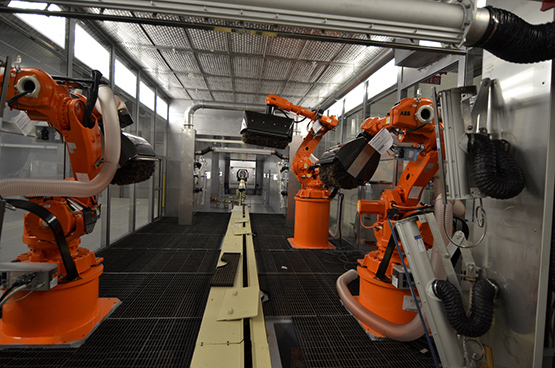 Boasting the best up-time in the industry, an RTO also works on nearly every industrial by-product including solvents from paint, coatings, petroleum, oil & gas, food, printing, chemicals, pharmaceutical, ethanol, semiconductor, automotive, and more. Used in industry on exhaust air volumes as low as 5,000 CFM, RTOs can be produced for any volume of air, with no upper limit on size. Individual units can be as large as 50,000 CFM and units can be combined in parallel for treatment of any amount of air over 50,000 CFM. RTO units are assembled in the fabrication shop to test for any fit & finish issues prior to being shipped to the field for installation. With modular build, field installation times are reduced and a high quality standard is consistently met. RTOs often achieve thermal efficiencies of 95% or greater, offering lower energy costs than an equivalently-sized thermal oxidizer. TKS offers an experienced site team to install your new equipment: Skilled trades supervision, safety watch, and project managers. TKS representatives are here for you if you need help resolving a production issue or need technical support or expertise. Don't need a custom solution? TKS offers off-the-shelf products at a reduced cost. Use a standard product and save on engineering and design fees. Having trouble with a TKS product? Our product experts are available to help you identify the underlying issues and get it up and running quickly. Need an expert opinion or some technical advice? TKS Engineers and Project Managers are available for short- or long-term consulting arrangements. Want TKS to handle every detail? Turnkey equipment packages are available with our skilled project teams. Just show up and turn the key.